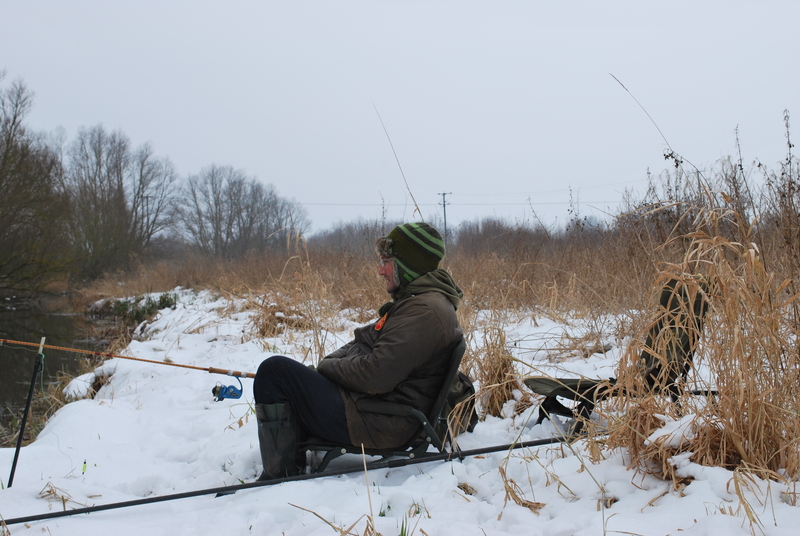 Winter Chub fishing – some thoughts on bite indication. Chub Fishing. A passion is born. I don’t know what it is about chub fishing that I find so captivating, but for over twenty years they have become an all consuming passion. 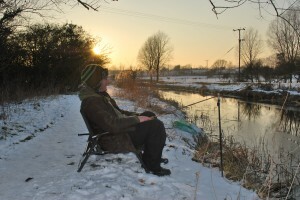 I think the first embers were lit having read an article by Matt Hayes in the Angling Times describing his approach for catching chub from small streams. 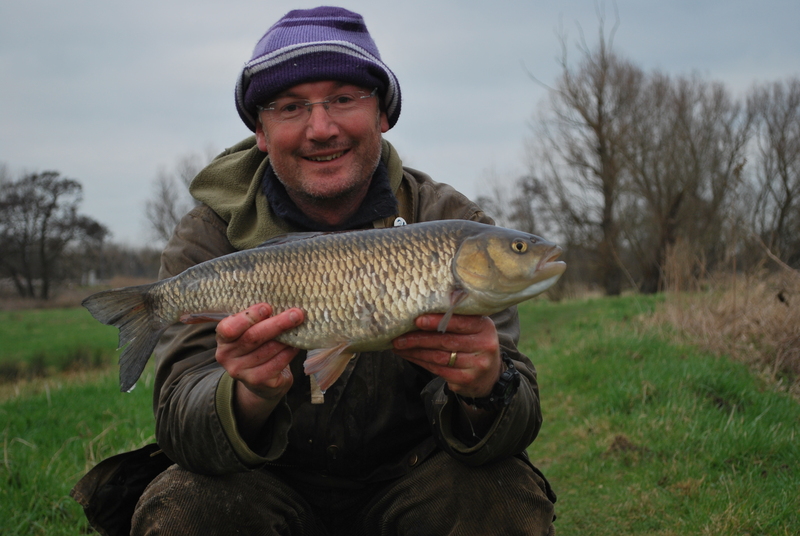 I had known for a number of years that Chub existed on my local rivers – indeed I had caught countless chublets and even chub that in my youth made me gasp – perhaps even chub approaching 2lb! But diligently following this enthusiastic Brummie’s advice of using bread flake and casting to visible fish, I proceeded to hook into a then leviathan of a chub that went well over 4lb. In my haste to land it, I had played it far too hard and lost this fish in the margins. 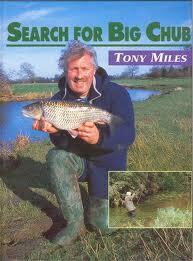 In true chub style it had ploughed into near bank reeds and done me the favour of unhooking itself before we could become properly acquainted on the river bank…..
To begin with, my approach was heavily influenced by what many now consider to be the ‘bible’ of chub fishing in the form of Tony Mile’s book ‘Search for big chub’. 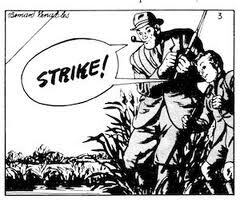 In the beginning the chub fishing was at times a frustrating journey as I served an apprenticeship on a river that was never really known for producing chub of any calibre. 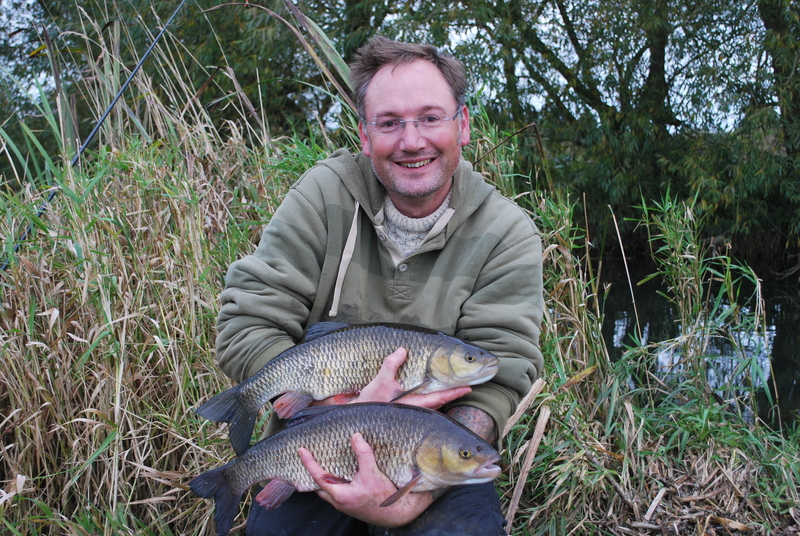 But slowly, I began to transform knowledge into experience on the bank and began landing chub that further fuelled my passion for this captivating and enigmatic species. I can recall as if yesterday my first chub over 5lb. In contrast to the four pound fish I had began to make regular acquaintance with; its stature looked Goliath in comparison with its smaller companions. Its broad shoulders and gargantuan mouth set this fish very much apart from the other fish I had caught. This was very much a specimen in its prime, caught on a cold October night to a cube of luncheon meat. Even to this day, I still feel the same sense of ecstasy at catching fish of this size from what has now become to me a very special river. 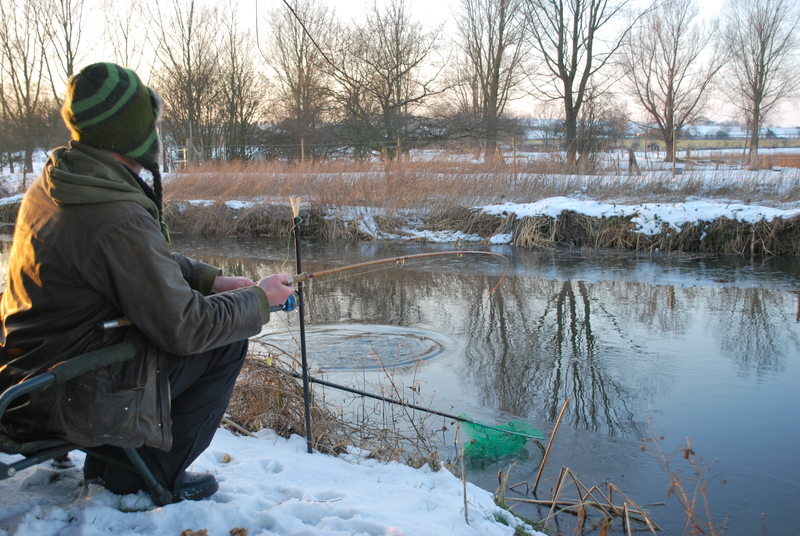 It has always been a very solitary passion –this little Suffolk river has no specialist following; indeed it is rare to share the bank with another angler. So in this near private paradise this obsession grew and was finally rewarded with a 6lb 4oz chub. In capturing this fish, it felt very much like a graduation – nationally insignificant these days, but personally a goal set and achieved! The only problem now is that I am now driven to catch a Suffolk 7! I can only imagine that it will happen one day – or else insanity!!!! I think in terms of inspiration, I can sum up my Chub obsession as Matt Hayes lighting the tinder which in reality was probably provided by Bernard Venables creation Mr Crabtree and his little upstart, Peter. 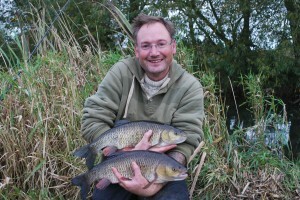 Tony Miles chucked a few logs on the fire and joining the Chub Study Group was like lobbing on a few Molotov cocktails! Chub have a reputation for being finicky feeders; capable of testing and rejecting bait with nothing more than a quick deflection on a quiver tip. These days I do not experience anything like the number of missed bites I experienced in the early days. These days, choosing the appropriate method of bite detection translates most detectible bites into fish in the net. On reflection, I think this was probably due to using too much lead, either in the form of Arsley bombs on a running ledger, or link ledger with too many swan shot. I think this problem is more pronounced on slow moving rivers as chub have too much time to inspect, test and examine baits. If you observe fish feeding in clear water, it is quite common for a fish to approach a food item a number of times prior to committing itself. The key is to keep resistance to an absolute minimum so when it is picked up, it at least behaves as naturally as possible. A closer look at bite indication. There are a number approaches to detecting bites; quiver tip, bobbin, touch ledgering or watching the line for any discernable movement. I could add another that has accounted for some exceptionally cagey fish, and that is to fish with an open bail arm and watch for the line coiling from the spool. When you get a ‘take’ it is much like a pike run and is treated in much the same way. Close the bail arm; tighten into the fish and strike! Each has its merits and I do not profess to have perfected any single form of indication; but rather try and use a range of indication methods appropriate to specific conditions. Balanced leads: it never cease to amaze me how little lead is actually needed to effectively fish a ledgered bait. If the current allows, I have a lot of confidence free lining a bait using a quiver tip. After casting and allowing time for the bait to settle, draw the bait back a little to ensure it has landed on a clear part of the river bed and introduce a little slack. What this does is effectively slow the bite down. Holding the rod in hand, the first sign of a bite is a sudden jolt transmitted as a sensation down the rod, followed by the tip pulling round. The advantage of free lining is that provided you ‘feather’ the bait down on the cast – it sounds exactly the same as the free offering that you have anticipated the chub have been feeding on. Where there is little flow to carry a scent, I suspect that chub will easily detect the sound of potential food entering the river and investigate closer. It has to be an edge if your bait sounds exactly the same as the free feed! Touch ledgering: If ledgering in even a modest flow, there is often more direct contact between yourself and the bait. In this instance touch ledgering is simply deadly but I was never happy using this method with a traditional ‘Avon top’. Far better in my opinion is to use a quiver tip rod fitted with the lightest quiver conditions allow. I am sure this is a big advantage as the chub is less aware of any resistance – if you can feel a sharp tug – so can Mr Chevin! It is a very focussed form of fishing that gives incredible communication between your senses and terminal tackle – ultimately it really helps you read any interest from a chub! Holding the rod in one hand, a loop of line is held between the finger tips of the free hand. Any initial bite is read from the tip. In effect, the tip softens the contact between yourself and the chub. It is simply a case of either releasing the loop or feeding line and pointing the rod towards the chub. I can either watch the tip – striking when it continues to fold over, or feel for the bite by touch and strike accordingly. It really does help to trip up cagey chub and is a subtle way of giving them ‘more rope’. I will just add, that all my quiver tips are armed with paired Drennan beta lights. They are superb – despite having the forward most beta light an inch from the tip, tangles are rare on the cast. Upstream ledgering: If I have to use any amount of lead to hold bottom, there is much to be gained from upstream ledgering. The aim of upstream ledgering is to balance the amount of lead used so that having cast upstream and allowed the bait to settle; after carefully tightening up to the link ledger, the quiver tip should show a deflection of 1 or 2 inches. Anymore and the whole lot is washed downstream in the flow. This does take a little practice and trial and error. With practice it is possible to gauge the amount of lead using a combination of swan shot and even BB shot on the link. When the chub picks up or tests the bait, it will drift down stream relaxing the tension on the tip showing the bite. Typically I normally experience an upstream ‘tug’ just before the tip collapses leaving me in no mistake a fish has picked up the bait. Bobbin: Fishing the bobbin has many advantages over the tip, especially when free lining in slack water. The only problem is finding a bobbin that is light enough. I use the Solar light weight bobbins, into which I insert a beta light for night fishing. A length of old fly line makes up the tether and works superbly. It can of course be used for upstream or downstream ledgering – in fact, this method is far superior in showing drop back bites. The bobbin just plummets as it swims back downstream. I should perhaps explain the reason for fishing an open bail arm. 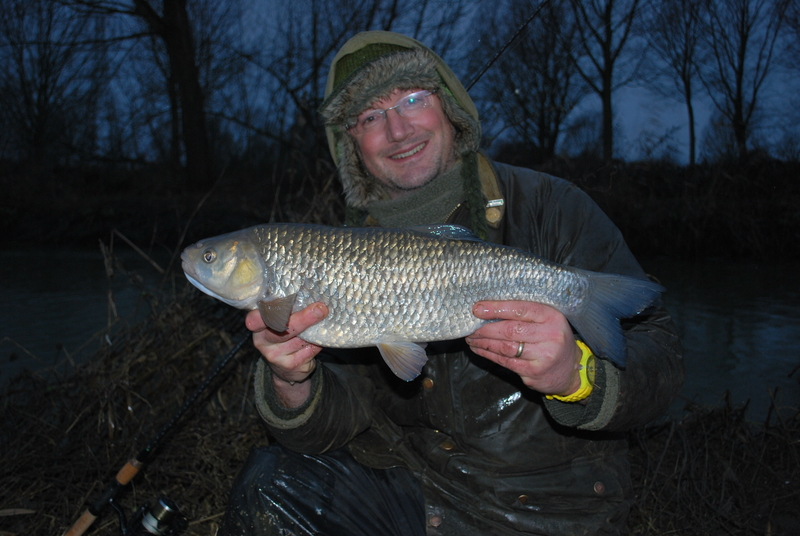 Chub are by nature a greedy fish, and whilst cautious, will come back and have another go if feeding in earnest. If I have been in a swim and received a sequence of missed bites, I often suspect it is either one or two persistent Chub…… This method just came about in response to this specific problem. There are times when a chub will intercept a bait and carry it some distance before ‘committing’ itself. I was fishing my usual approach of quiver tipping and was getting unhittable bites. Bites kept on coming, in fact the third time it took the bait on the drop – and once again it was missed on the strike. As I fully expected a bite on the fourth cast – this time I left the spool open and watched for the fish taking line. It was fascinating to see the line skating towards an old weed bed. This fish had been holding station in the weeds and was coming out to intercept the bait and then returning to its sanctuary where it felt safe. This fish was hooked after giving it more time. I used to think chub avoided thick line, but in many cases this is irrelevant – far more important is resistance. I have had chub pick up baits confidently using 12lb line in crystal clear conditions. I do not tend to use the open bail arm as a first response type of indication – in many ways it could be argued that free lined presentations actually produces lousy bite indication in certain circumstances. I tend to use this method when I have missed an otherwise hittable bite……. especially if I think the fish has just swum off with it in its lips. I would NOT use this method to spot finicky bites…… It would be ineffectual! It would not show if a fish moved upstream, across stream, or slightly downstream, you would also avoid the sensation transmitted through a jelly rod to signal that the chub has given the bait some attention – I need that communication. It is however, highly effective at transforming those lightning fast wrap round bites when a chub picks up your bait in its lips and bolts off with it. They can repeat this procedure a number of times because they can easily spot if the bait is a ‘free’ offering or tethered to resistance in my experience. Are you seeing every bite? Not one of these methods really answers all the questions asked from chub, indeed, I believe there are bites that are to all purposes undetectable! On a number of occasions I have gone to retrieve my bait, only to find resistance and on the strike a fish that had just been sitting with the bait in its mouth. Another occasion whilst fishing an open bail arm, I noticed line slowly peeling from the spool. Holding my finger on the spool I observed the quiver tip for a deflection – there was none. I released my finger and once again line slowly peeled from the spool. I suspected that perhaps some debris had hit the line and was drifting the line downstream. But on releasing the line a fourth or fifth time I decided for whatever reason that it was moving faster than the current and decided to strike. To say the chub I hooked into was surprised was an understatement – but having taken maybe 4meters of line, it took itself into a nearby reed bed and unhooked itself….. Charming! When roving a river for chub, and prebaiting swims, is it best to start upstream or downstream?